China was the first major country to ground Boeing's 737 Max 8, this Monday, hours after the tragic Ethiopian Airlines crash that killed 157 people on Sunday. Following suit, the European Union issued a regional ban on Tuesday, with the United States trailing behind on Wednesday. China's lead in grounding the jet came as a surprise, as the Civil Aviation Administration of China (CAAC) has always looked towards the US Federal Aviation Agency for guidance on aviation safety, especially on American-manufactured planes. Some analysts are worried that Beijing's quick decision to ban Boeing's most popular plane would exacerbate US-China trade tensions, and those concerns aren't without merit. 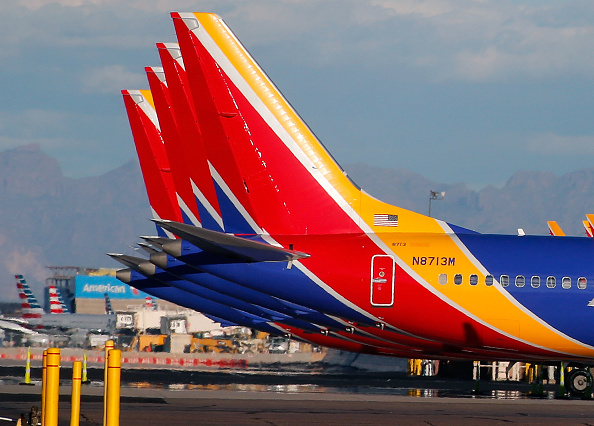 As China is Boeing's biggest buyer of the 737 Max 8 planes, flying 97 out of the global fleet of 371 jets, a prolonged ban would be a big blow for the American jet manufacturer. The ban also comes as the Commercial Aircraft Corporation of China, or Comac, develops a competing model of the Max 8 jet. Comac's jet, the C919, began running test flights in 2017, and now has 815 orders coming from 28 customers, with many coming from Chinese state-controlled airlines. And China's aviation industry is only expected to grow. In Boeing's annual market forecast, China is predicted to make up about 20% of global air traffic by 2037, compared to the 14% it comprises now. In the same year, China is expected to make up 1.6 billion flights annually, compared with the U.S.'s 1.3 billion, according to the International Air Transport Association. "Strategically speaking, aviation manufacturing is a national imperative," says Yu Zhanfu, a partner at Roland Berger Strategy Consultants in Beijing who focuses on aerospace and defense. "Once you have aviation manufacturing reaching economies of scale, it will lift the entire industrial chain." As Boeing balances its latest crisis, the US-China trade dispute continues on in uncertainty. A signing summit, originally planned to take place later this month at President Trump's golf club in Mar-A-Lago, has been pushed back to at least April. On Wednesday, Trump told reporters that he was in "no rush" to strike a deal with Chinese President Xi Jinping. "We'll have news on China -- probably one way or the other we're going to know over the next three to four weeks," Trump said the next day. The residual shock of the no-deal Hanoi summit between Trump and North Korean leader Kim Jong Un still lingers in the air, and analysts on both sides of the Pacific are afraid of what could happen if Trump decided to walk out on the last phase of US-China trade negotiations. Trump is well aware: "I think President Xi saw that I'm somebody that believes in walking when the deal is not done, and you know there's always a chance it could happen and he probably wouldn't want that," Trump said this Wednesday. One of the biggest sticking points is China's foreign investment law, which underwent a makeover this month. The new law was approved quietly this Friday during China's annual legislative meeting and aims to "stiffen prohibitions against Chinese officials and companies pilfering trade secrets," according to the Washington Post's Gerry Shih. Despite this, analysts fear that this law, meant to be a sign of Beijing's financial liberalization, is just another empty promise. 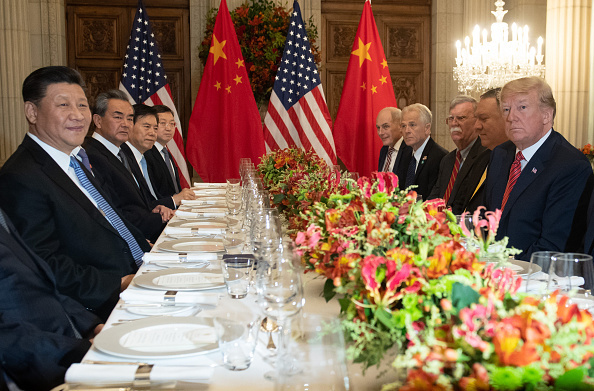 "With impending tariffs threatened by Washington, it's hard to know if this was a statement of true intent or a statement made with a metaphorical gun to one's head – one therefore likely to breakdown at a later date," writes Art Dicker, founding partner at a cross-border investment advisory firm, for China-US Focus. 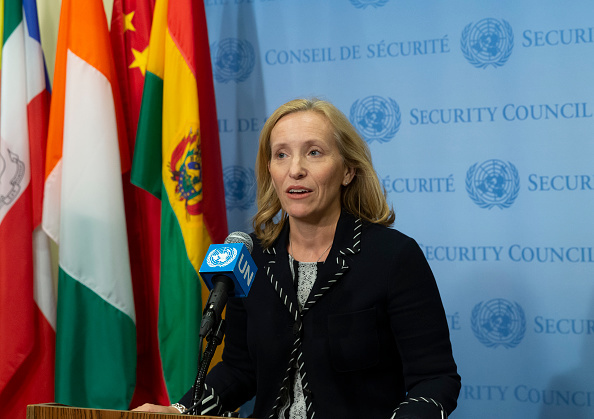 Human rights issues were in the news again this week, with the US State Department issuing its annual report on international human rights on Wednesday, just as the United Nations reviewed China's record on human rights. During the State Department's review, Secretary of State Mike Pompeo stated that China's human rights violations are in "a league of its own," referring to the estimated 1.5 million Muslims and ethnic Uighurs being held in detentions "designed to erase their religious and ethnic identities" in the western province of Xinjiang. China has faced mounting international pressure over what it has called "vocational training centers" intended to minimize terrorist activity in the country's western province. Many international bodies are pushing back, saying that those centers resemble "re-education camps" instead. China responded to US allegations on Thursday, with Chinese foreign ministry spokesman, Lu Kang, saying that the US should abandon its "Cold War mentality" and "stop interfering in China's internal affairs with human rights as a pretext." China also made a pass at US hypocrisy over human rights issues in its own human rights report which takes aim at the US every year. The 12,000-word report, published by China's State Council Information Office, listed "shocking gender discrimination" and the "unceasing immigration tragedy" on the Mexican border, among many other topics, as examples of the US "turning a deaf ear to its own grave human rights problems." At the same time, the Universal Periodic Review at the United Nations Human Rights Council was held in Geneva this week. The review, which assesses UN member states' human rights records every five years, also lambasted China over Xinjiang and called on China to verify information regarding disappearances and arbitrary detentions in the province. Predictably, China rejected the majority of recommendations made during the review. China continues to claim that the detention centers are similar to boarding schools, rather than internment camps, but pledged Tuesday to decrease the number of detainees being held.